As a startup, you would want to have a perfect website to attract customers and investors. You don’t want any flaw on your website because that would affect your credibility. You want to attract as many customers and investors as possible. Your website will show how good you and your team are at executing your work. The website will show your leadership skill as well. That’s why you shouldn’t compromise on the website. 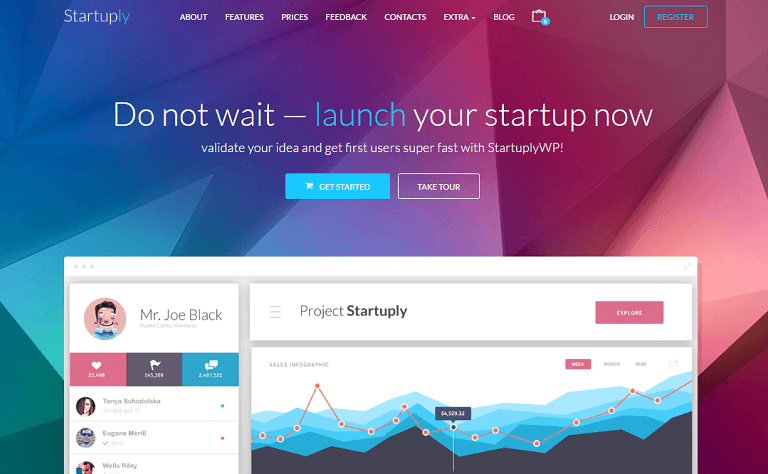 Therefore, we made this list of great WordPress themes for startups to help you grow. This collection has themes for every kind of startups– whether you are launching an app or an offline business. So, check them out and use the one that meets your requirement. 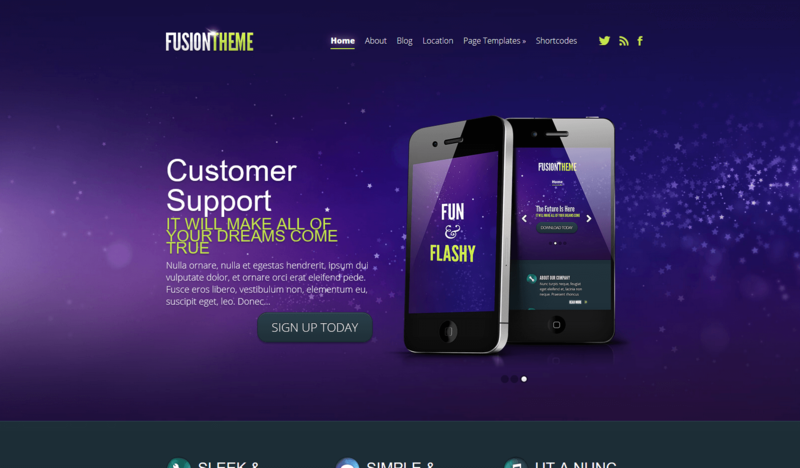 All the themes listed here come with out-of-the-box features like SEO, responsiveness and flawless design. 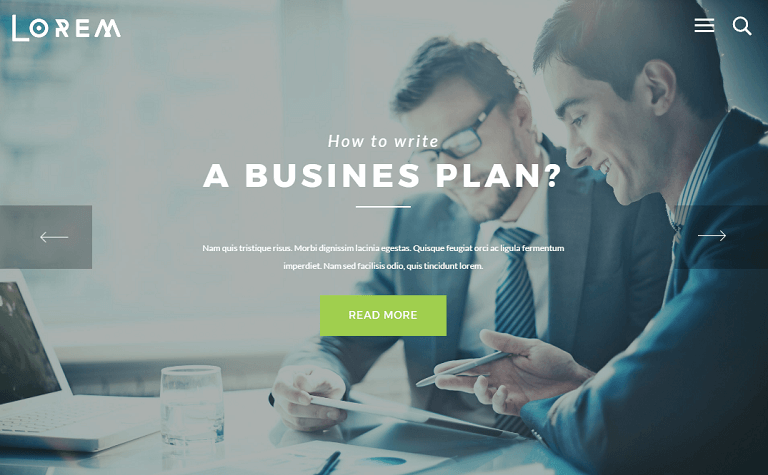 Business One Page Pro is a stunning one pager WordPress theme excellent for businesses, creative agencies, corporations, and freelancers, who are looking to grow their business. The theme is mobile friendly (responsive design), loads fast and optimized for SEO. 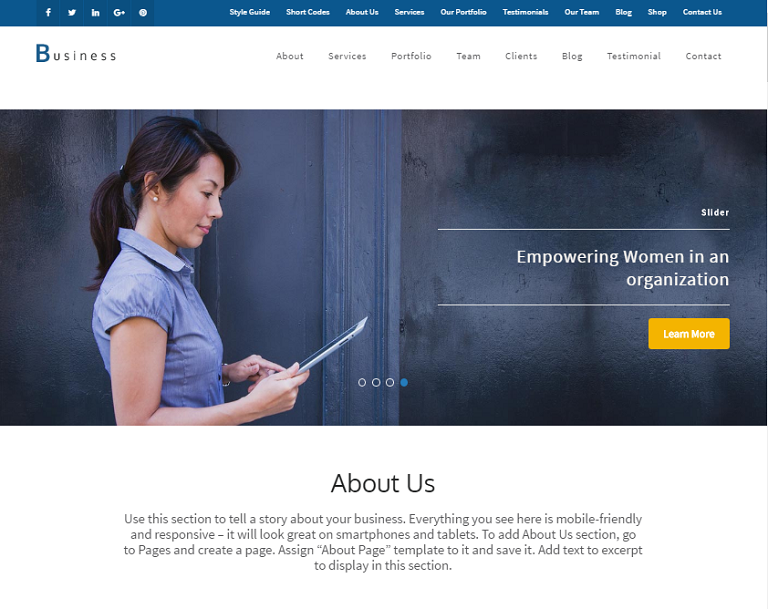 With a professional design and lots of useful sections and top-end features; Business One Page Pro can help you make a great impression and grow your business online. Simple comes packed with great features, exceptional user experience, and a design that is not apt to be forgotten by your site visitors anytime soon. And the great thing is, it is suitable for websites of all kinds, thanks to its flexibility in design and functionality. 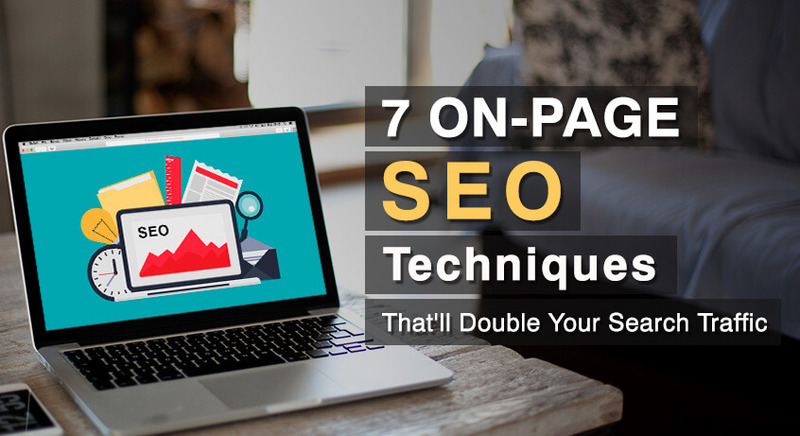 It comes with a beautiful one-page front page, with tons of layouts to choose from, so that site visitors can quickly and easily see what you have to offer them. 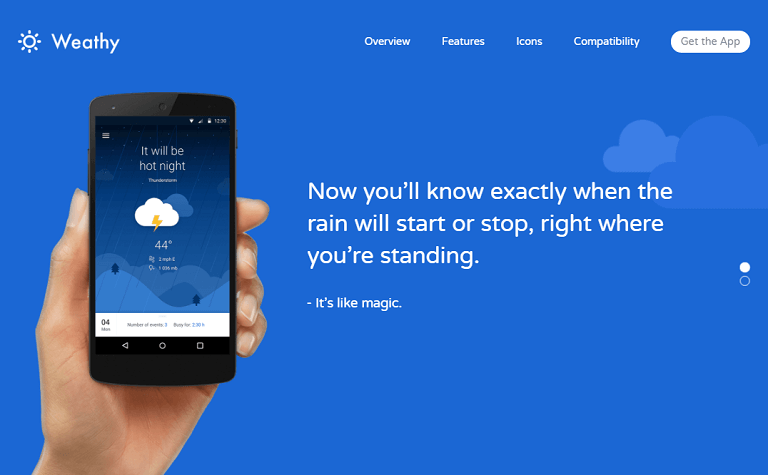 To add to that, this minimal theme has cool parallax background effects, smooth scrolling for easier navigation, and, responsive design that is readable on all device types no matter how big or small the screen is. Additionally, to really capture your visitor's’ attention, Simple provides you the option to include a full-width banner layout or a stunning slideshow showcasing some of your best images. 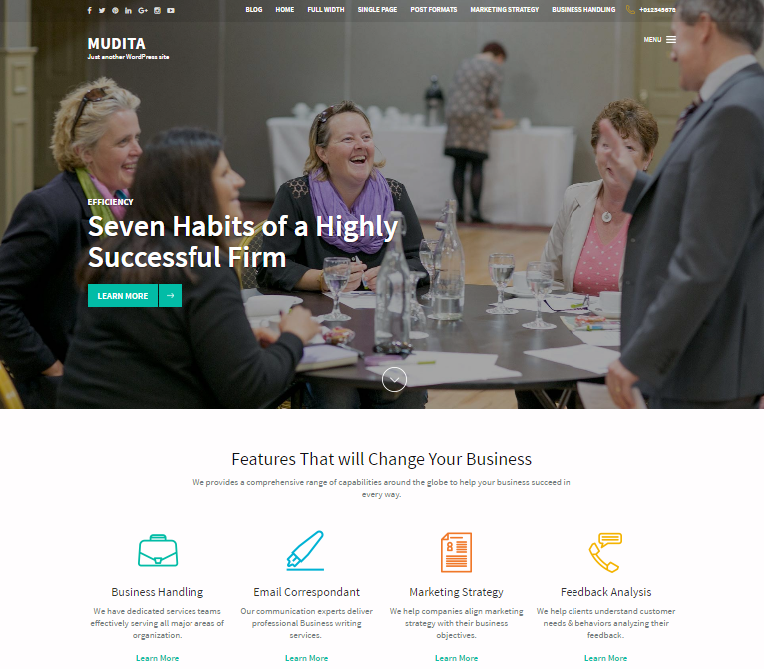 Mudita is a free, attractive, professional looking responsive corporate WordPress theme. 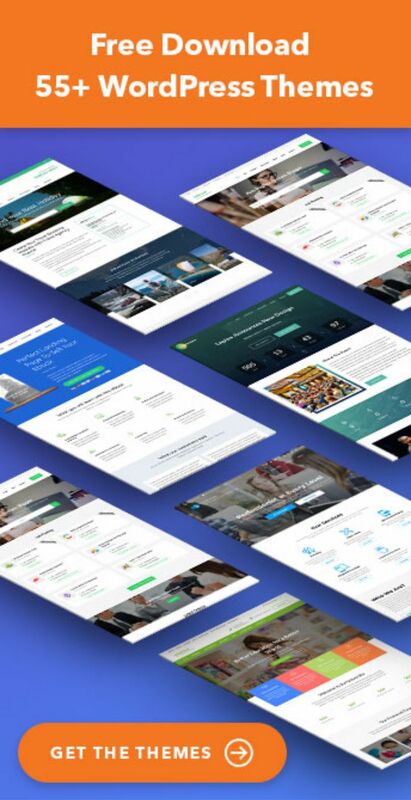 The clean, modern and professional design and features of the theme is suitable for business, corporate, agency, startups and freelancer Websites. With a stunning layout with lots of headings and sections and a slew of top-end features provided by the theme, you can easily create an amazing website for your organization. 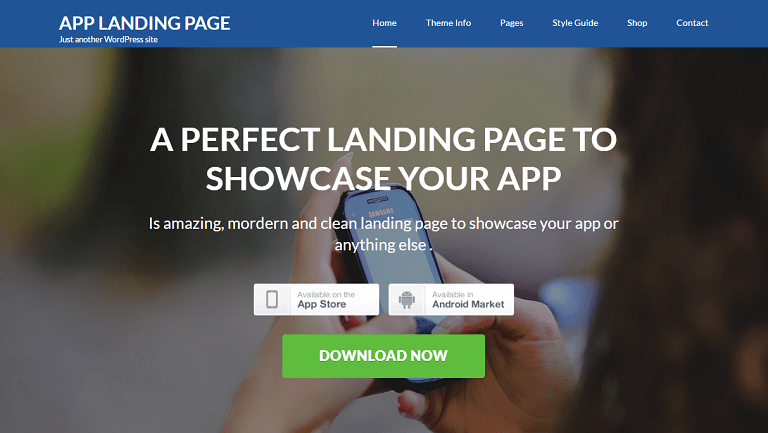 App Landing Page is a beautiful WordPress theme suitable for creating a landing page for your Startup. The home page is thoughtfully designed to increase leads and impress VCs. 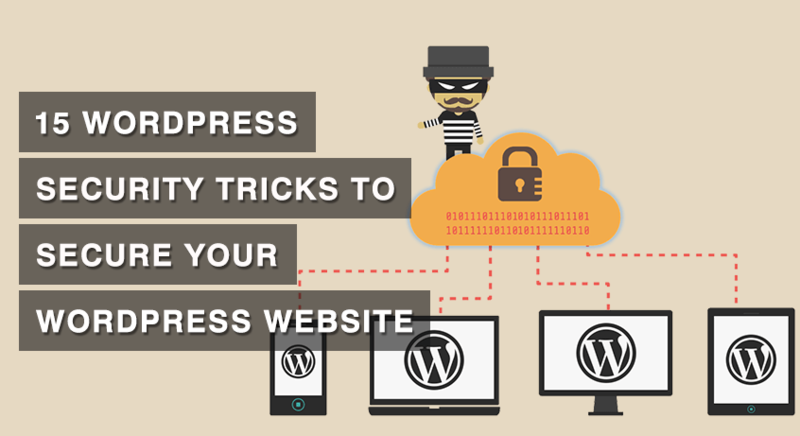 The theme is easy to use and doesn’t require coding skills. 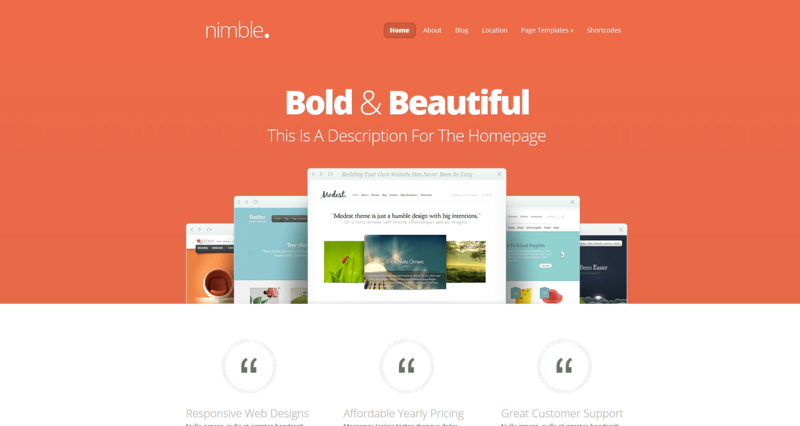 Nimble is a big, bold, and beautiful WordPress theme that can help Startups grow. The attractive homepage has different sections so that you can display all the information about your business on the home page. 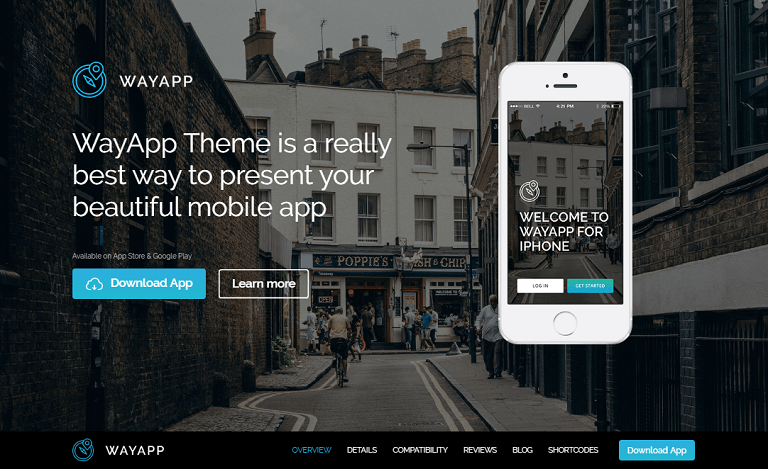 MyApp is a beautiful WordPress theme that will make it easy to publish and promote your product. 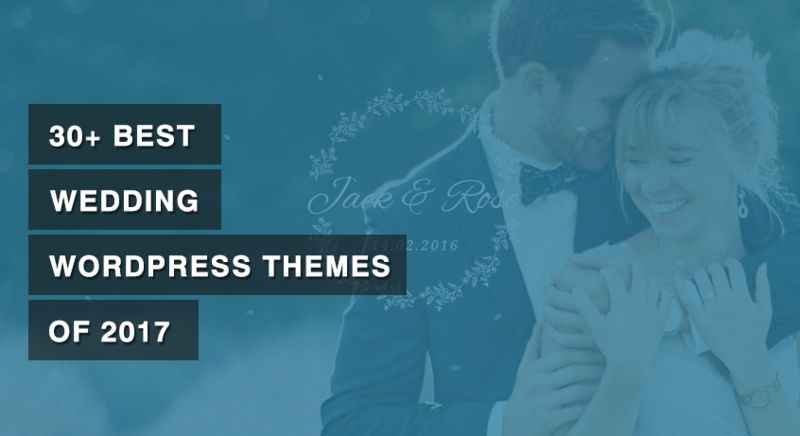 The theme will help you tell your story in a unique style. WayApp is a best way to present your startup projects. 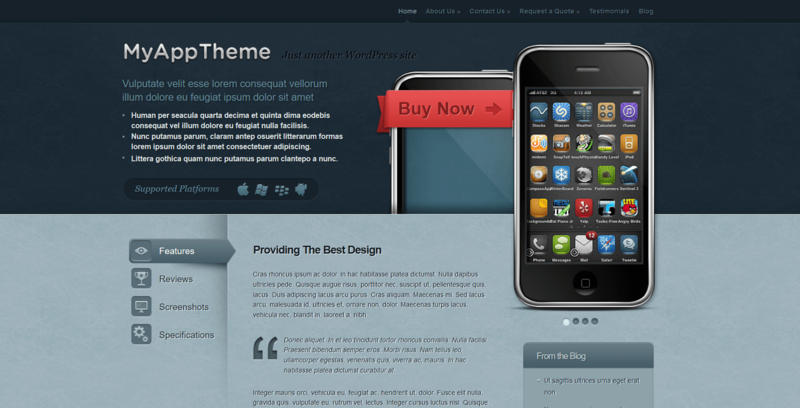 The theme is designed used for electronics, software websites, but can be also used for other businesses as well. 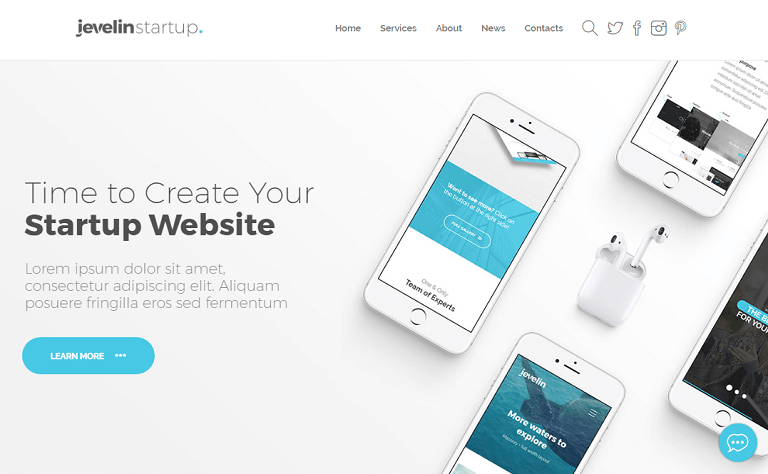 Jevelin - Startup is a mobile ready WordPress theme for business, startup, freelance, and private use. Designed in up beat creative manner to suite basic and more complex website projects. 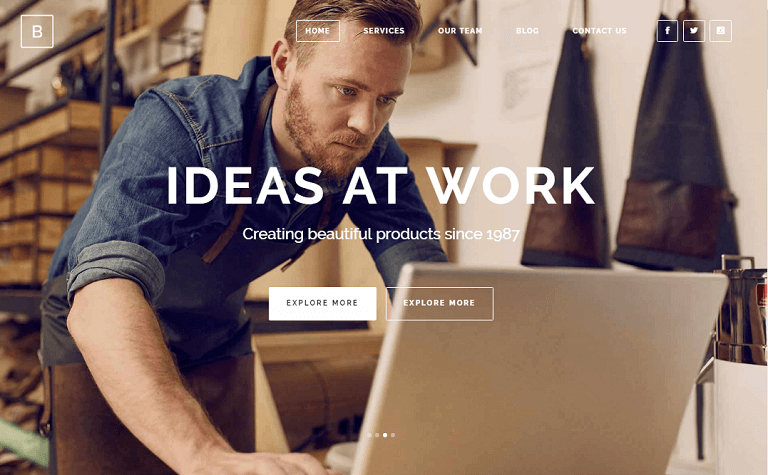 Kalium is a creative WordPress theme that will showcase your Portfolio, Agency, Photography or Blogging (plus much more) . 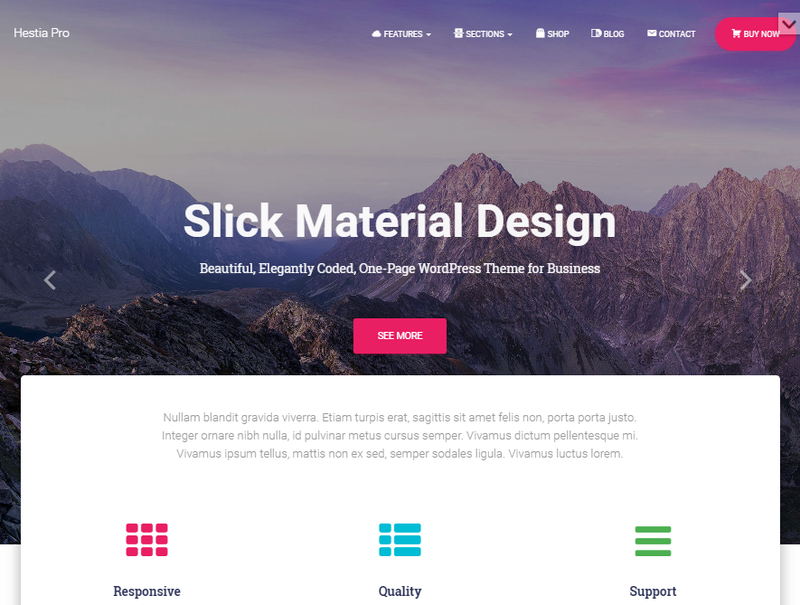 With stacks of layout designs, user friendly Theme Options and rich Drag and Drop content builder to help create your perfect site in minutes, you can use it as an Multipurpose theme too. H-Code is a powerful, creative, responsive multi-purpose WordPress Theme perfect for business, creatives, online stores & ecommerce websites. With H-Code you can unleash your creativity in potentially unlimited ways to create the perfect website. 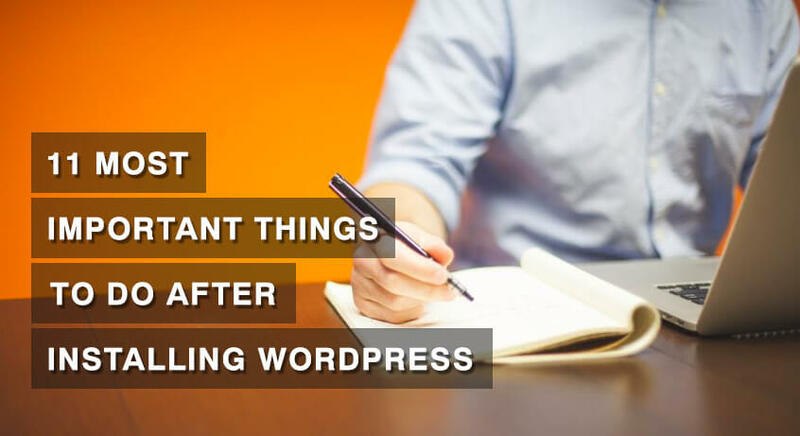 Launching your startup with WordPress has never been easier, whether you are just building a coming soon page or have a product(s) ready to sell – complete turn-key Startuply WP theme got you covered! It is made it with most cutting edge technologies and tools available. 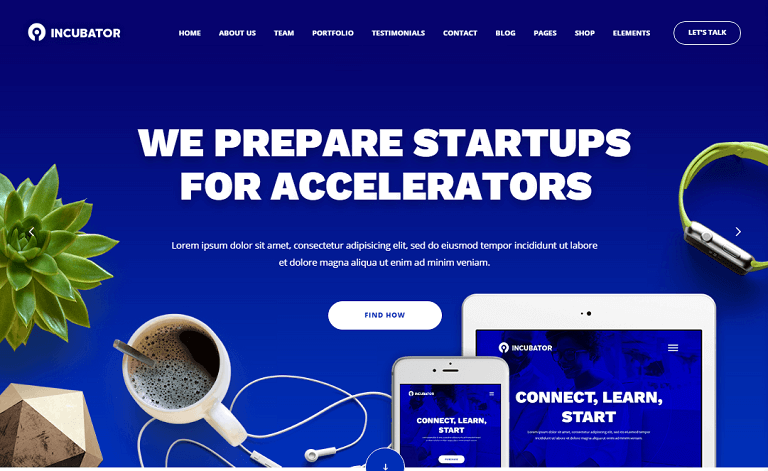 Incubator is a simple, clean theme designed and coded for IT start-up businesses. Responsive and user-oriented design allows for a consistent, fantastic experience, regardless of whether your users arrive by phone, tablet, laptop, or desktop computer. Get started now with Incubator and change the overall design in minutes. 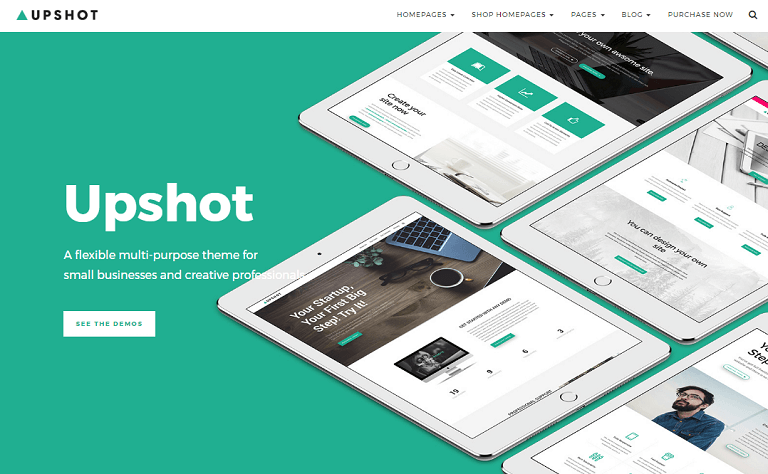 Upshot is an intuitive, flexible and powerful WordPress theme, designed to suit the needs of small businesses and creative professionals. 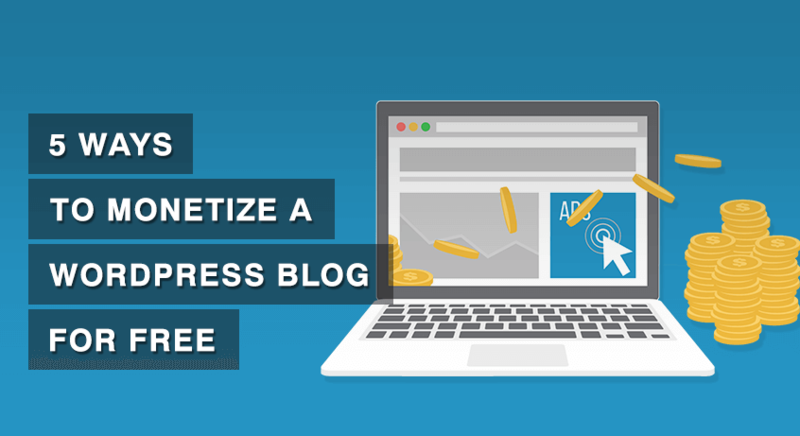 Upshot is built with utility in mind, making your content pop with its ready made layouts. The theme includes the most popular premium plugins on the market: Visual Composer, Revolution Slider and Essential Grid. Using this set of plugins, you can create almost any type of layout, using a drag & drop interface and tons of pre-built elements. 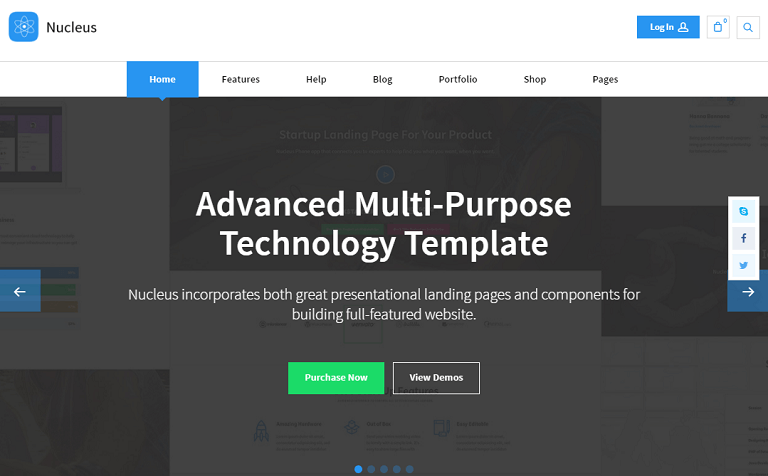 Nucleus is ideal for Online Business & SEO Providers, Mobile and Desktop App Showcase, Startup Landing Page, Conferences and Meetings Promotion, Product Presentation, Online Shop, Digital Agency / Blog and Portfolio etc. 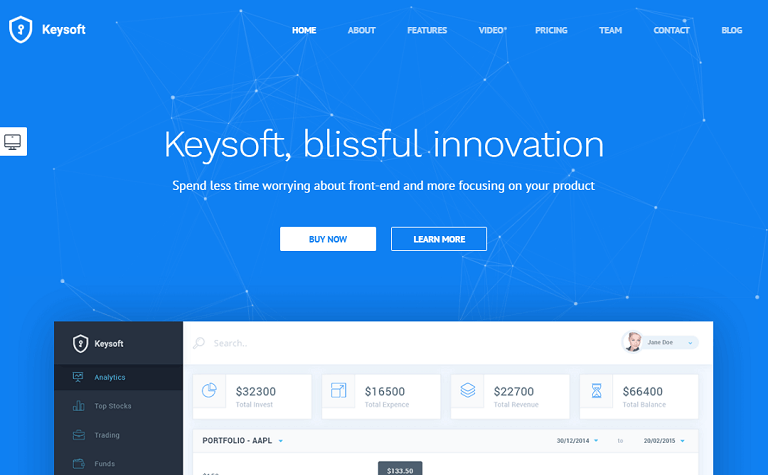 KeySoft is a clean, creative and responsive WordPress landing page template for software , start-ups and mobile apps. 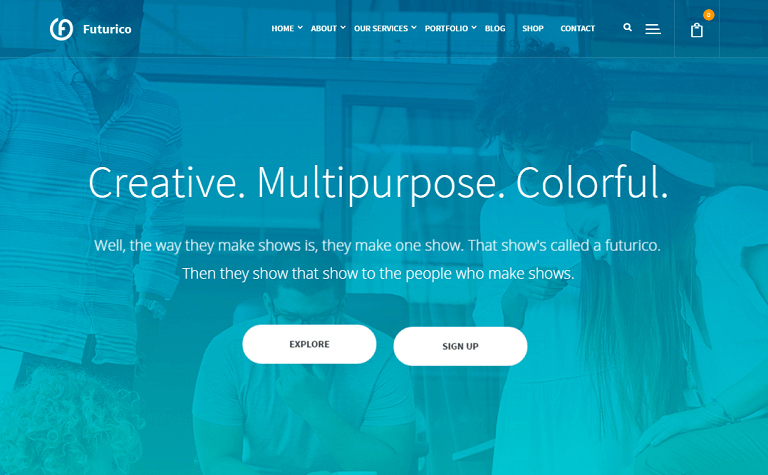 This landing page template has multiple color , header and layout variations. Well organized, documented and very easy to customize, KeySoft is the best way to present and promote your start-up software or mobile app website. Unicon is the first design-driven Multipurpose WordPress Theme with great attention to details, incredible features, an intuitive user interface and everything else you need to create outstanding websites. 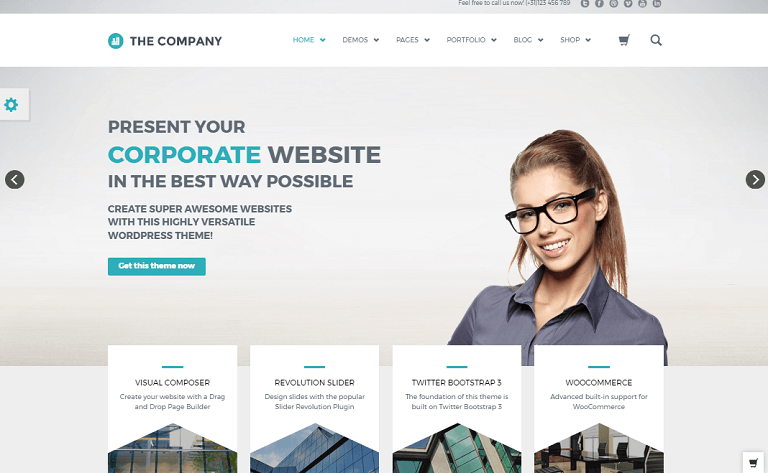 The Company is great WordPress theme for startups and your business. You can create an online e-commerce store, or company website in no time. 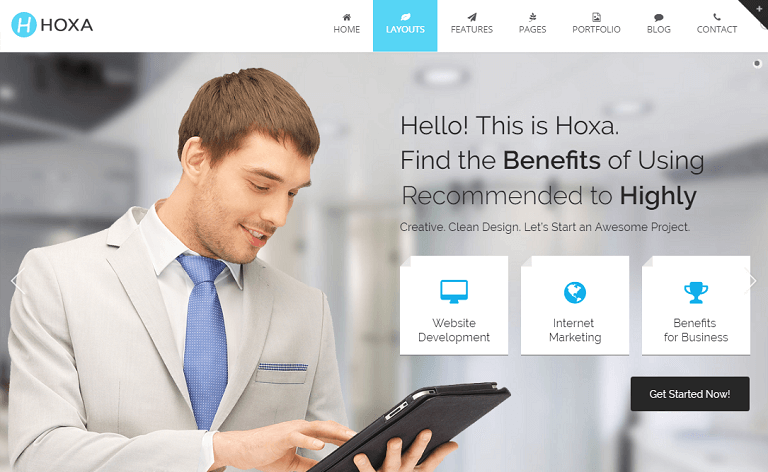 Hoxa is a Responsive Wordpress Theme (Desktop, tablet, mobile phone?) simple, clean and Professional theme. It comes with Unique Pages, Awesome Slideshows, Color Variations. Easy-to-customize and fully featured design with the great tool. 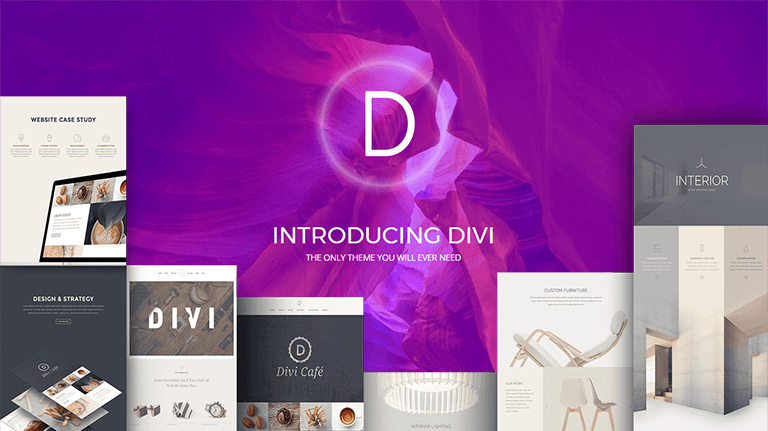 This theme suitable for Company, Business, Blog and Portfolio and much more. 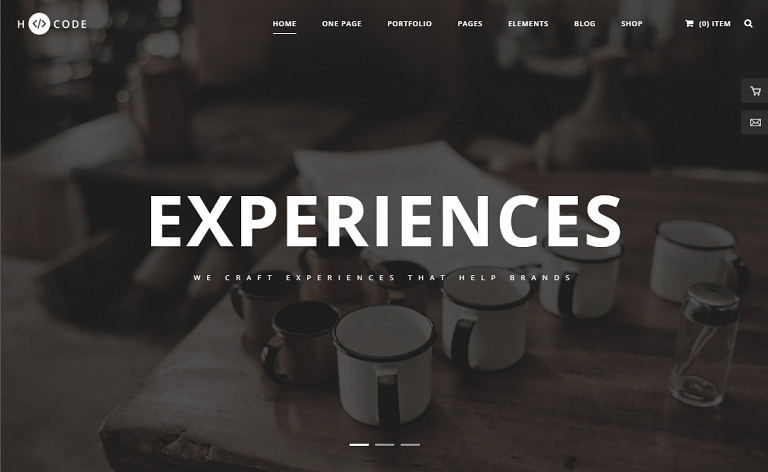 BRIDGE is a retina friendly startup WordPress theme. 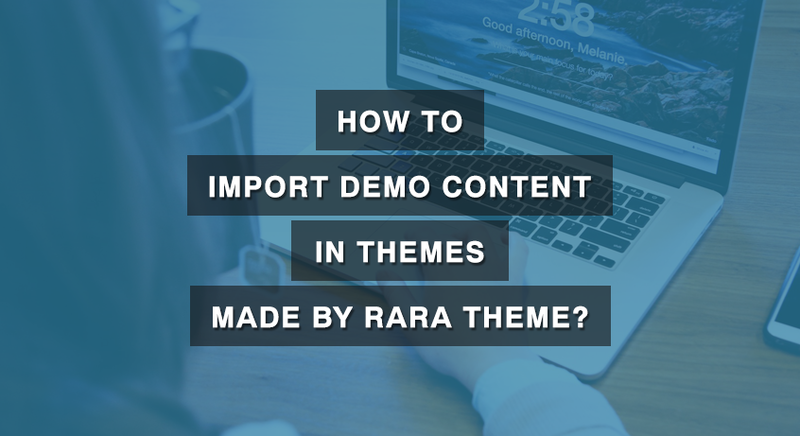 You can easily import any of the example demo sites. Choose your favorite design or style, and import pages and settings with the easy-to-use one click import feature. Futurico is a Modern, Unique and Multipurpose WordPress theme for Creatives which suits any kind of Corporate Company website. 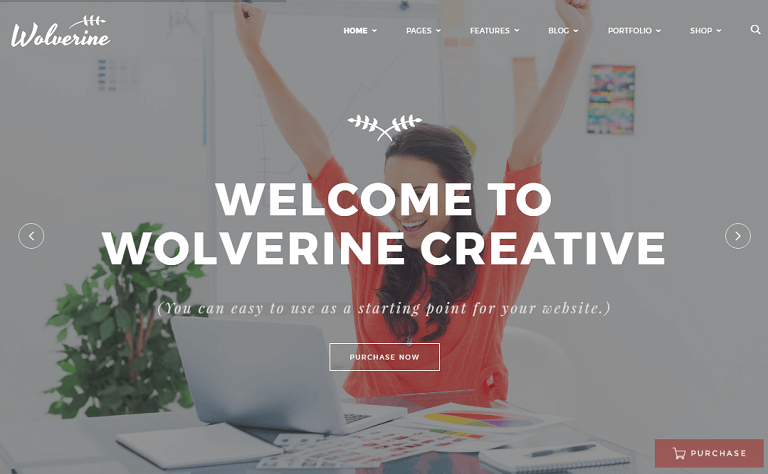 Wolverine is a responsive WordPress theme with which responds to the most demanding customers. It can be a great choice for your Corporate, E-commerce, Portfolio, Creative Agency etc. Jupiter is a perfect solution for all kinds of businesses from corporations, shop owners and small businesses to startups, artists and bloggers. 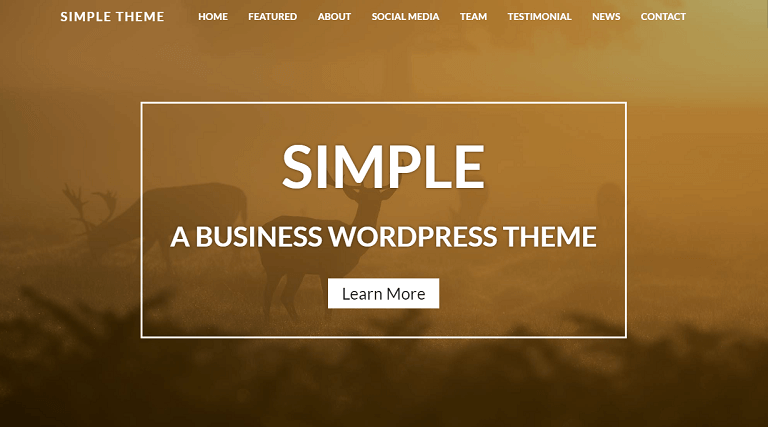 You can create a clean and beautiful website for your business with the fastest and lightest business WordPress theme in the market. 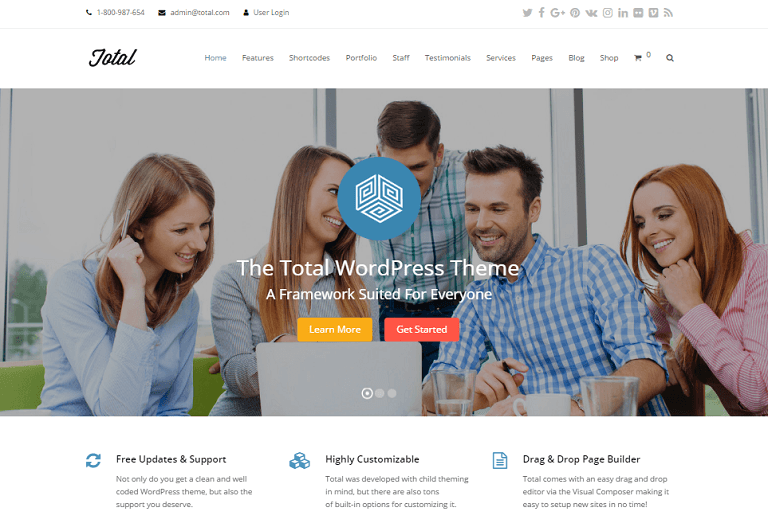 Total is a modern and responsive startup WordPress theme that combines the power of the WordPress Customizer and the Visual Composer page builder to allow you to create a website for virtually anything. BeTheme is the best product you'll ever see. 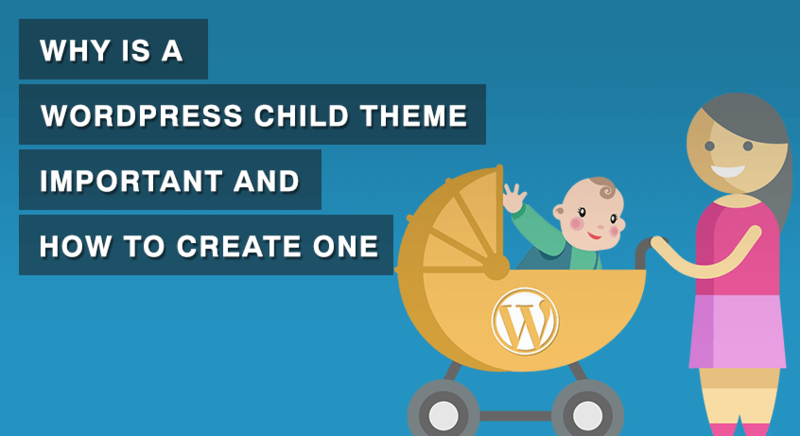 This is more than just WordPress theme. Such advanced options panel and Drag&Drop builder tool give unlimited possibilities. 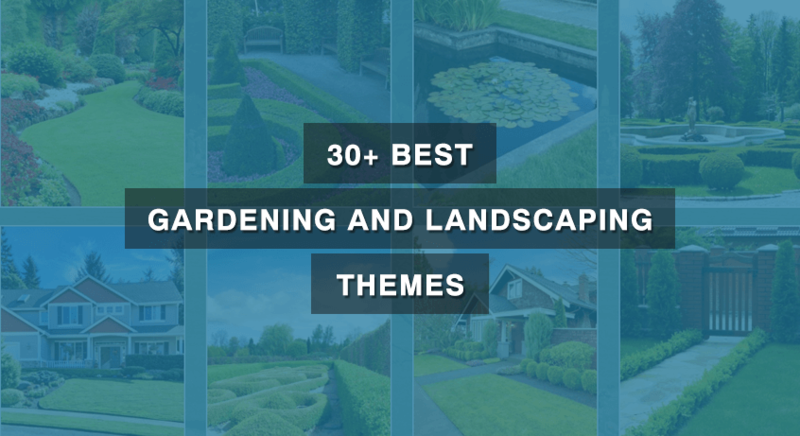 The theme has 15 thematic websites so you can see how amazing this product is. 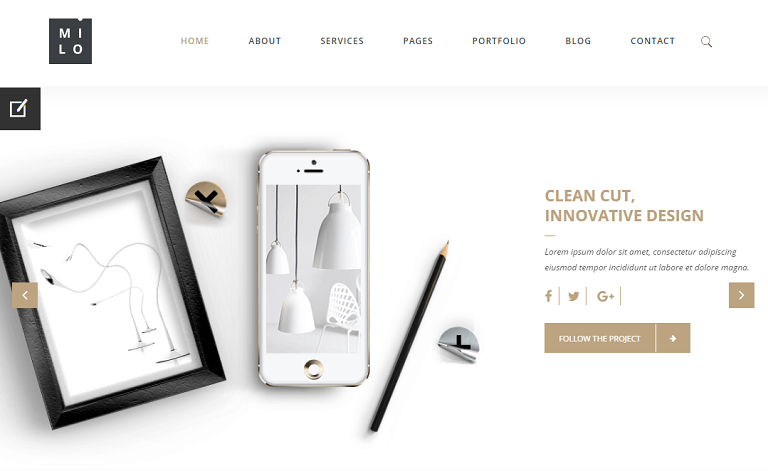 Lorem is a fully responsive, creative multipurpose WordPress theme using most popular design and fashion trends. This unique, elegant, content focused WordPress teme is perfect for all kinds of creative and business projects. 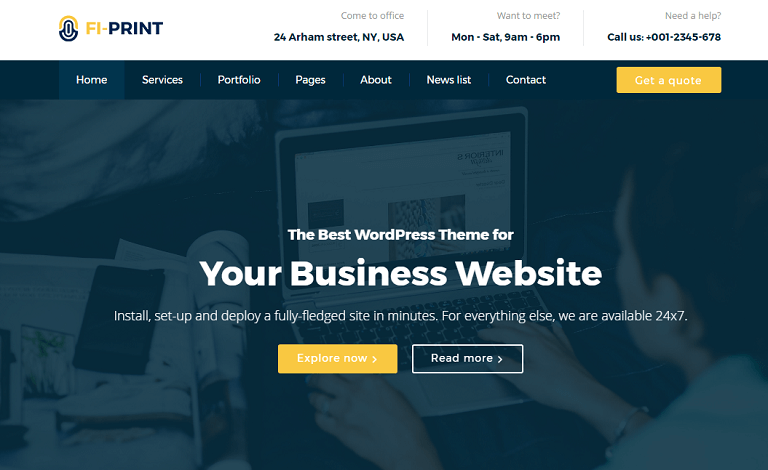 Fi-Print is a clean, modern, and fast multipurpose corporate WordPress theme by HardcoreThemes.com. Based on an acclaimed design, it features 6+ different home pages, and multiple inner pages such as portfolio pages out of the box. 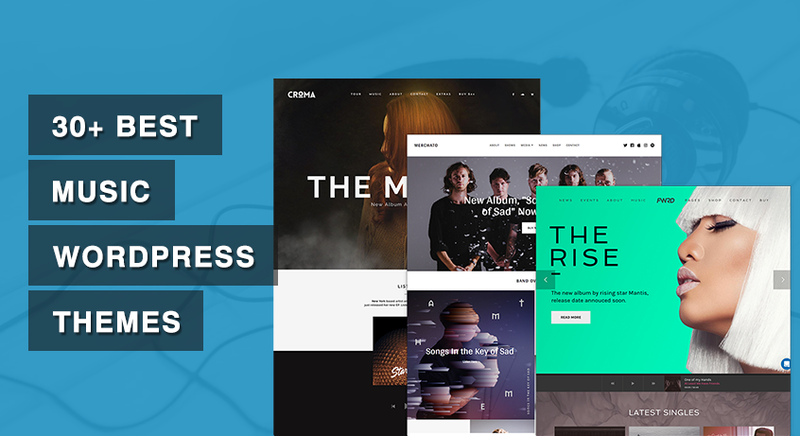 Dikka is a responsive multipurpose WordPress theme suitable for almost any type of website, creative design agency, web development agency, corporate, fashion shop, startup company, app landing page, one page style and tons more. 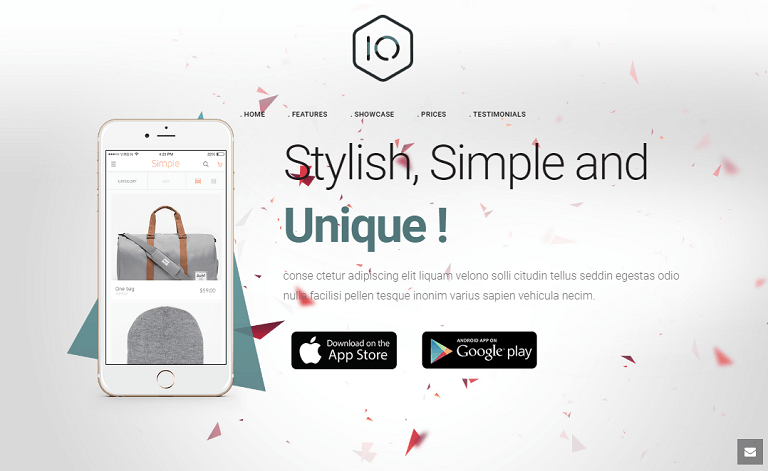 With great collection of elements to choose from and present your product it is ideal theme for your brand new website! 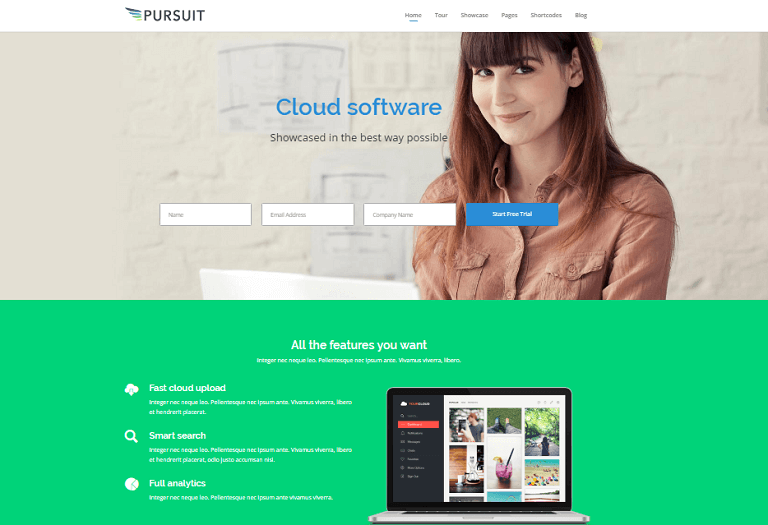 Pursuit is more than just a business theme. 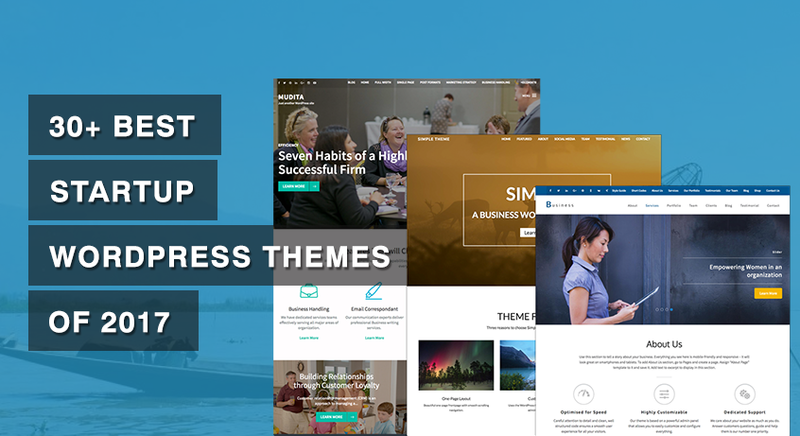 This is a premium WordPress theme for App and SaaS companies, startups, and businesses with a specific focus on lead generation, product and service showcasing as well as all the important features you need to make your business successful. 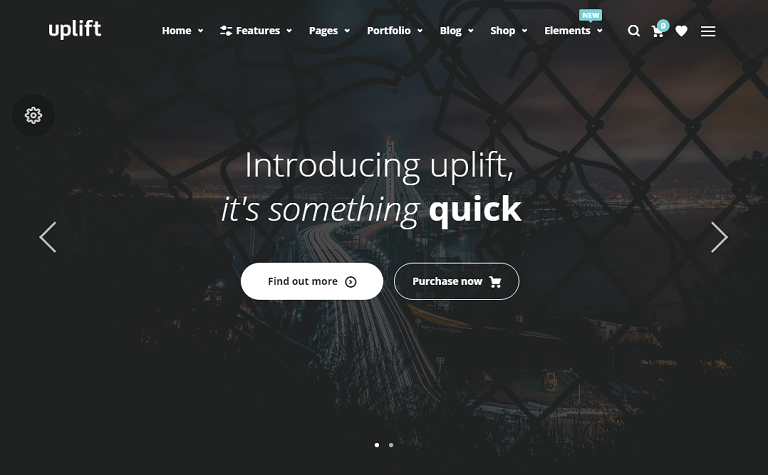 Uplift is a modern and clean Startup theme for WordPress. The theme comes with unique design for corporate, agency, and magazine. Hey, thank you! Some very useful information in here=) WordPress is like a huge universe (sometimes it’s kinda overwhelming, isn’t it?) and I feel we need to learn something new everyday… Actually, lots of new things everyday! So thank u for this post.